I'm so sad to be back home after a lovely weekend down south. I indulged in far too much wine, sun and fun. I now have the post holiday blues and minor sun stroke (even though I wore factor 50) I'll share some photos from my trip and some of the sights I saw in my next post but for now I have some photos of my new favourite dress. 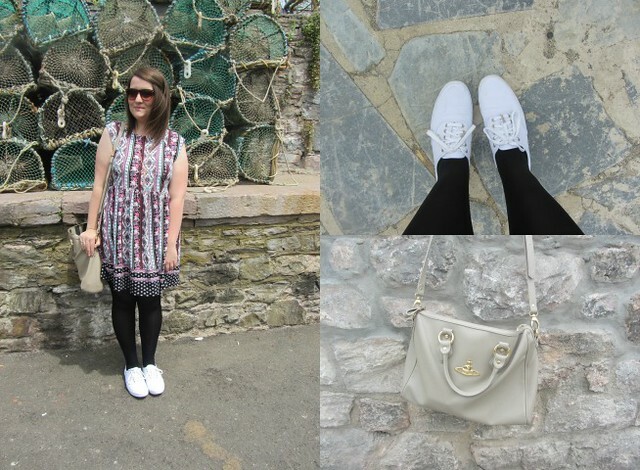 I picked up this dress in the ASOS sale for £18 and I love it! 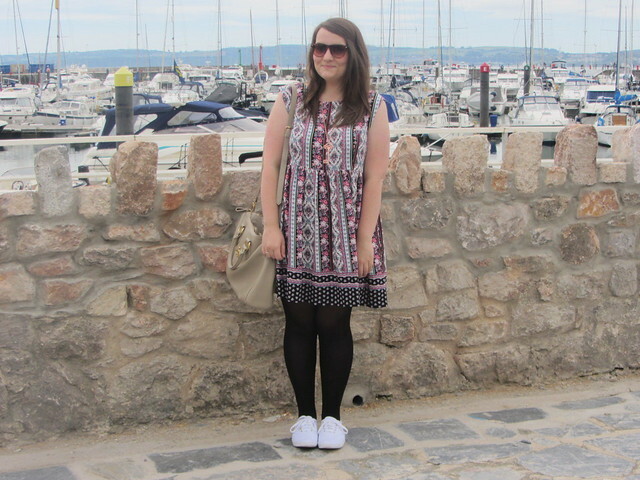 Smock dresses aren't overly flattering but it was comfortable and cool in the heat and has a very pretty pattern. I think this dress will get a lot of wear in the winter with boots and a biker jacket too. 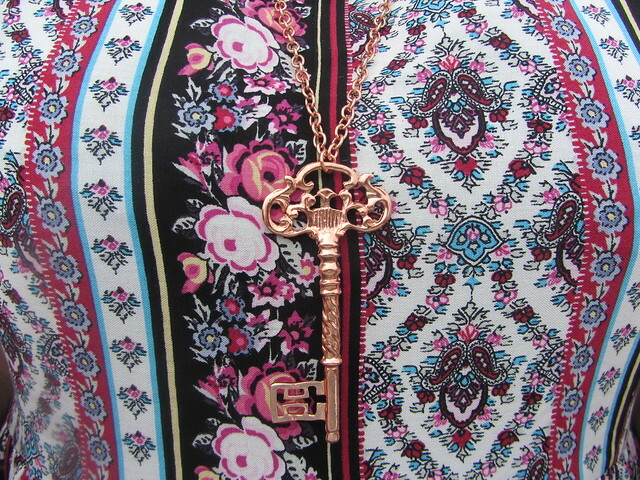 My lovely Pieces necklace that I forgot all about, I ordered it thinking it would be small like Tiffany key but it's huuuge. Have you picked up anything nice in the sales? I went a bit crazy on payday, oops. Glad you had a nice trip Gem! I love the statement necklace - the bigger the better! I loved that dress so much I followed the link through and bought it! I have a similar build so i hope it looks as good on me as it does on you!